MG Motor UK has today unveiled its new corporate logo as well as a fresh new website to support the UK launch of the MG6 this spring. The new website has yet to confirm pricing for the new car, although it has revealed specification and warranty details. The rebranding exercise is said to be costing MG Motor around £1m. Journalists who visited Longbridge for the corporate unveiling were also treated to the first official sighting of the MG6 in saloon form, which is an appealing revision of the well-established Roewe 550. Today’s Media Briefing at Longbridge has been a chance for journalists to find out more about MG in the UK and the future of Longbridge – which has seen production of UK-spec MG6s start in China. The operation employs about 400 people and deliveries of the first MG6 Fastback will commence in April with the MG6 Saloon following a few months later. 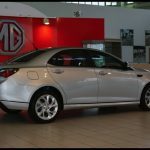 Prices will range from £15,995 to £19,995, and it is planned for the MG6 to be built at the rate of up to 5000 per year on a CKD basis, with the first full year (to April 2012) expected to account for 2000 units. 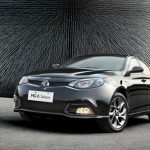 The MG6 Media Launch and First Drive sessions are scheduled for March 2011 and will be in the UK – apt, as MG Motor is pushing this as a British car. Read AROnline‘s exclusive First Drive of the MG6 in China, back in 2008 here. MG Motor UK’s new website looks more professional and brochures are available. It’s a promising start – let’s hope it is the start of some positive momentum. MG Birmingham might employ about 400 people but there are only 22 on the General Assembly side what recruitment was mentioned? Were the media allowed into CAB1? The only employees who currently work there say it’s all been stripped out. Come on SAIC Motor, give us some good news about the job prospects. 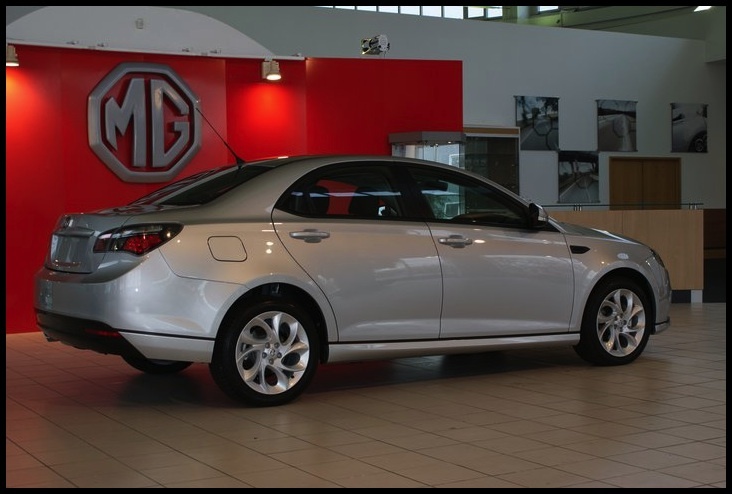 The MG6 Saloon looks very neat, balanced and far more contemporary than the Fastback. Slot in a high-tech diesel and it’ll sell very well indeed! The MG6 Saloon looks good in the pictures and would be of interest to me – let’s hope this all gets off the ground pretty soon. I, for one, look forward to seeing MG make up some lost inroads in the UK once more. We just need SAIC Motor to stay true to their word and see less vagueness in their sales and marketing. More importantly, let’s see if the Press are willing to get behind the marque rather than snipe, snigger and mock. YES, THAT MEANS THE LIKES OF YOU MR. J. CLARKSON AND MR. M. RUTHERFORD! 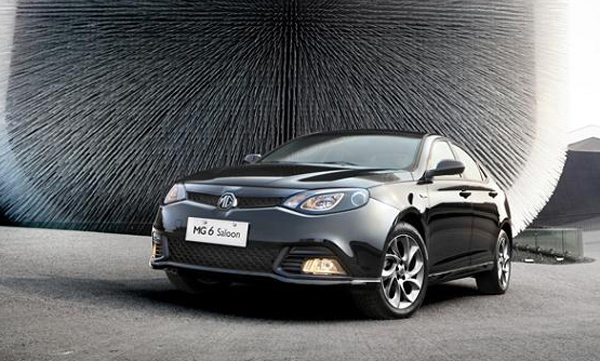 The MG6 looks nice and the branding seems professional. The website suggests the only engine is a 160bhp 1.8 and advertises the TF too. Quite convincing so far… Maybe the Facebook campaign was an aberration but, in any event, it certainly got us talking! I really like the MG6 Saloon but, starting at £16,000, it’s almost Skoda Superb money and that would still be my choice. I like the saloon – it looks really good. Well, so far, so good. The website’s neat and the car looks good. The spec’s not amazing – I just hope price reflects this. The warranty’s disappointing for this day and age, not in Kia’s or GM’s league. Mind you, it looks as if there is enough to start building the brand with – I just hope they don’t bugger up the actual launch. What on earth were they thinking with the Facebook malarkey? Yes, and £16,000 goes a long way with a pre-reg or 12 month old car, so MG better have an ace up its sleeve. I wonder what the residuals will be like – MINI or Mini Metro? The new badge reminds me of one from my old Metro which faded red. Anyway, as for the car, it’s not very inspiring or good value so what is the USP? They need more dealers though – not really nationwide coverage. I live in Teesside, a connurbation of 650,000 people, and my neareast dealer is 43 miles away! A quick play with their webmap thingie suggests this isn’t unusual. Hmm, an imaginative logo… The 4 door looks good though – a very stylish car that! What a hideous looking car the MG6 is. I don’t think they will sell many. The MG6 Saloon looks awful – it reminds me of a late 1990s Daewoo. I won’t be buying one. Well, even at £16k it would compare favourably on a like for like basis with many similar cars. I’m not convinced by the MG6 Saloon but, seeing as Ford have dropped their Focus saloon, maybe those people will flock to buy an MG6 instead? The CKD production numbers do, at least, sound sensible and achievable. The MG6 Saloon does look a lot better than the Fastback, but I still feel it lacks the MG sports appeal of the Z range. Where, at least, are the sports versions with bigger wheels, spoilers and skirts, plus some traditional colours – Trophy Blue, Le Mans Green, Nighfire Red. Again please can the cars be trimmed in the UK with quality cloth and leather interiors? Look at what MG Rover achieved with Monogram or Rover 75 or, going even farther back, MY88 Montegos or Rover 800s – it was the stylish interiors that sold many of those cars plus the exceptional seats in the 800 and Montego using hard and soft foams. Just inject a little more Britishness like MINI have done and the cars will gain a following. Yes, but VW Jettas and, of course, the old MG ZS 4-Dr seemed to do okay. The current Mondeo saloon is especially hideous IMHO. I have seen a couple now and have posted a picture of my latest spotting on the M6 near Birmingham on Facebook yesterday. It’s a good effort and, if it drives well and offers good value for money, then good luck to them. I think that, in the metal, it looks good and no worse than Mazda 6 or a Toyota Avensis and definitely no worse than some of the lacklustre efforts from other car makers in that part of the world. Would I buy one over a modern Ford or Vauxhall? Yes, if they drop the price a bit so that I could offset the initial and inevitable above average depreciation. 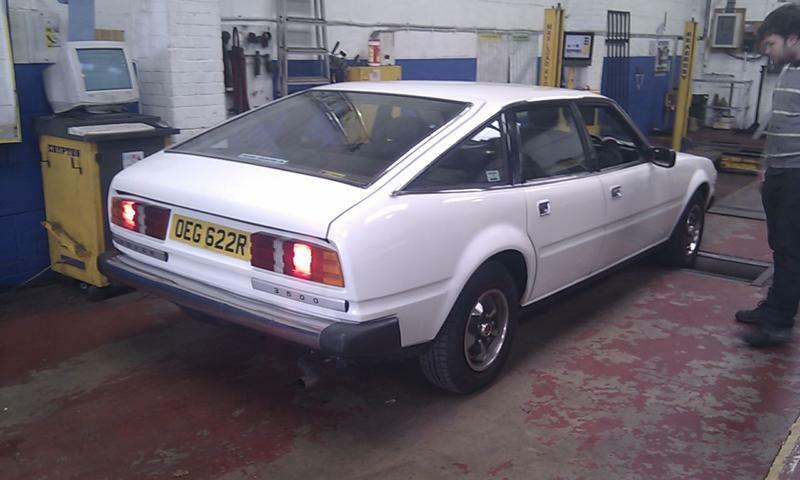 This is only fair – the badge may be old but the car maker is still in its infancy. Mind you, as the wife has pointed out I have never paid the full asking for a new car yet! and definitely no worse than some of the lacklustre efforts from other car makers in that part of the world. I’m sure MG are celebrating receiving such praise… No worse than China’s worst efforts…lovely! I jest, of course, not having a go! I think MG should be celebrating the fact that a potential customer would consider swapping from a more established brand! I’ve just downloaded brochure – utter crap. There are still so many things they need to do better. The pictures of the ‘production’ line are risible. Overpriced and CKD which means they have to rely on Chinese made components. Hence, if a batch of parts isn’t up to scratch (which, being Chinese, is highly likely), well, quite frankly, production will halt. I’m sorry but this is all gearing up to be a monumental flop. Saloons struggle to sell here in the UK now and the MG6’s styling looks about two years out of date too – it looks like an old shape Mazda 6 or Avensis. My only concern is the interior console… However, we shall see – everything else seems to be shaping up, slowly but nicely. You might be right there, Marty. The MG TF parts had to be reworked when the LE500 was built. I believe that, if MG wants to win the public over – and I understand the cost that will involve – they have to build the MG6 lock, stock and barrel in Longbridge. I’m sorry, but the MG6’s boring – they’ve taken a Camry and changed the nose. Give me an XJ or a new Kia for looks anyday. Let’s hope it drives wel. Is it only me who would rather that the MG name had died gracefully rather than been revived like this? Longbridge building Chinese CKD kits, does it get much worse? Alternatively, to put it another way – after getting over the death of your much-loved grandmother would you be pleased to see her turned into a shuffling zombie? No, I would agree with you, there isn’t much dignity left for MG now but, at least, Riley, Triumph and others live on unsullied by further brand value dilution. Mind you, if MG’s relaunch provides jobs in Longbridge, then I wish it well. “There’s also the question of the price. It’s not cheap, coming in at between £11,095 and £17,700 in China, and that might stunt its competitiveness at home – and kill it stone dead in Europe.” AROnline 2008. Well, according to the FAQs on the website, the diesel is at least a year away – this is far too long and will definitely impact on sales. You only have to look at any CityRover TBH. The success or failure of MG’s relaunch will all hinge on the product. People always say how much affection we have in the UK for British build and the MG brand, but these weren’t enough on their own to save the company first time around and neither will they this time. Constantly revising the bumpers and badge layouts on endlessly facelifted 1990s designs wasn’t good enough in 2005 and selling anything less than an outstanding product into 2011’s talent-filled market won’t be good enough either. The product needs to be class leading or have some kind of USP or value proposition which captures the public’s imagination and their wallets. It also needs to be marketed, sold, and supported professionally and effectively – without all of these elements in place, they may as well pack up and go home now. Please, please, please, please badge the X-TYPE replacement as a Rover. You own the name, you have the technology and the reliability to kill this Chinese facsimile stone-dead with a car that looks good and is built by and in Britain. The MG6 Saloon looks tidy enough – not the most remarkable saloon I’ve seen (that would be the 159 or the new XJ), but not the worst either (eg. Impreza Mk2). The MG logo? Well, it looks like an MG logo. It isn’t cream and red but then, as suggested earlier, it was red and silver was it not for the ‘M’ car variants in the 1980s? There’s no chance of the likes of Clarkson or Rutherford giving the MG6 a break as it isn’t German! At last! The photo of the silver saloon looks like one of the best I’ve seen. The new silver on red Octagon looks OK too. I always thought the MG6 would only be available as a hatch in the UK (which would suit me) but the saloon looks appealing too. Nissan started at Sunderland in 1986 producing Bluebirds from imported kits and some local component supplies and look how they’ve developed since then. Somebody is deluded. The MG6 won’t be built to VAG standards. For starters, the interior plastics will be of a much lower grade, components WILL be of a lower quality and I doubt it will get anywhere near Euro NCAP 5 stars. It doesn’t mater where the shell was designed – if it is welded together using low grade steel very badly, it will do exactly what the knockoff Frontera did. You just have to look at every pile of scrap that has been made in China by Chinese-owned car companies (and the shoddy CKD TF that failed to sell). I reckon that, after 12 months, they will be lucky to be worth £3000 on the forecourt – non-MG outlets won’t touch them with a bargepole. Sorry, but don’t kid yourself that this is a comeback. Oh, and if you think that the MG6 is a Skoda rival, well.. don’t make me laugh! Skoda’s now have a 3-6 month waiting list due to their popularity and that has ensured rock solid residuals (used Yeti’s are fetching more than new list, especially diesels). The 6 should have a diesel from the word go, but it hasn’t and that clearly shows they haven’t read the market. Furthermore, SAIC Motor/MG may end up running into problems with Mazda. Mazda could, quite rightly, take SAIC Motor/MG to the courts for using the 6 as a model name – if that were to happen, it could see the end of this company very quickly. This has to be the biggest joke since the CityRover. However, looking on the bright side, at least when the inevitable happens and the whole project goes belly up, with only 22 assembly line workers at Longbridge, there won’t need to be many redundancies. What’s the next plan – relaunching the MG version of the Reliant Robin? Looking good. I am finally going to Longbridge to see the ‘6’ tomorrow. I can’t wait! You clearly forgot the previous generation Honda Jazz when saying all cars in China are badly made. I also feel it is fair to assume that you are not an Engineer of any description – the steels used will be defined by SAE-AISI codes and all analysis during design will have been carried out using the properties of these materials. The plastics used on the lower-end VAG cars: Audi, VW, Skoda and Seat are not exactly exotic and to use soft touch plastics of a higher quality would not be a vast challenge. It would have been nice if MG Motor UK could have, at least, been bothered to use a RHD car for the brochure – in so far as I can tell every single picture is of a LHD model. The price is about 20% to much to shift any volume of what is an unknown vehicle with little backup. Did Mazda/Ford take them to court in the countries where the MG3SW and MG7 have been on sale for the past few years? I’m sorry I really don’t think VAG products are that well made. Their reliability record is little better than average at best and the interiors so loved by certain media are 1) dull and 2) not that great. Case 1 – Seat Leon, one of the nastiest, plastickest interiors I have ever had the misfortune to sit in. The door shut sounds rubbish too. Case 2 – VW Golf, the most overated car ever. It’s OK but would I say it’s great? No. The interior is put up there as class best yet the last few I have sat in have fallen way short of what I would deem to be exceptional. Granted an Audi A3 is better finished but it’s a £22k plus car in decent trim and it suffers from the same faults as other VAG products. Quality is not solely based on perceptions of an interior. China makes virtually everything these days from your i-Phone to the steel joists in your house or office. The fact is that, by far the overwhelming majority of Chinese-built products are better made, better finished and delivered at a significantly lower cost than that of European made goods. China also builds shed loads of cars in JVs with other manufacturers which are, as far as I know still of consistently high quality so why would SAIC Motor produce something that was not at least as well made or as safe? Incidentally, the MG6 has been on sale in China for a while now under another badge – any quality issues cropped up that we know of? UK-spec pics are in the Gallery section of About MG on the website. Well, at last something’s happening after six long years of waiting. I wish MG Motor well -if only I could afford one. Incidentally, while we’re at it, as SAIC Motor own the LDV badge, what about bringing the Maxus back? The brochure for download via the site is the ‘Introduction’ brochure, which has been available since November 2010 – hence the LHD pics and use of the previous MG logo. I believe the proper sales brochure, as it were, is currently being finalised in time for the car’s upcoming launch. I’m in the ‘not impressed’ camp – the MG6 looks rather like a recent Korean effort trying to be Japanese. Not exactly British looking! However, do you remember the Triumph Acclaim and the Rondas which followed? Most of the commentators here seem to forget that MG Motor uk are only aiming for 2000 sales in the first year. I’d be worried if they were very ambitious but I’m sure they can manage their low sales expectation. I would say that, after they get a tiny toe-hold, they will then look at expansion with better models. We will then perhaps also see more UK sourcing and, to start with, that would be wheels and tyres/batteries/glass etc but UK content could easily rise over the next few years and their reputation as a pukka UK manufacturer will rise too. Here’s hoping! You cannot trade mark a single number. I shouldn’t have too much concern about Chinese build quality. I remember when people used to moan about Japanese build quality then, when they were proved wrong about that, they started to moan about Korean build quality and, when they were proved wrong about that, they had to start on the Chinese. In China, they will stroke their chins in contemplation while they count the export dollars. Quality comes from the ability of the organisation concerned to identify areas of improvement and act on them – something the indigenous UK car industry (i.e. not Ford-supported/TATA-supported JLR) was consistently unable to do over several decades. SAIC Motor has the money and infrastructure to make this work. The new MGs may not sell in the UK due to prejudice, but they will succeed elsewere. It looks like this is one of the most contentious articles posted in months judging by the number of comments. The MG6 is controversial and maybe that’s a good thing because it is getting noticed unlike its competitors currently at the budget end of the market which get forgotten about/overlooked, eg Chevrolet and Proton. It’s still not easy to tell whether the efforts to relaunch MG are hampered by limited SAIC Motor investment, cultural misunderstanding of the UK marketplace, concentration on other global markets or due caution following the experience of the poor UK market response to the MG TF inherited from Nanjing Auto’s stewardship. There seems to be a lot of noise about UK content/input so can I just refer m’learned friends to the excellent austinmemories.com website which has this neat summary of what Longbridge is responsible for in the SAIC Motor empire. Does anyone know what percentage of the MGs and Roewes built in China are made from parts not manufactured in China, possibly even UK-sourced, eg sintered engine parts? I agree that VAG products aren’t always what they are cracked up to be, eg read the common fault lists in the stripdowns/used car reviews run by Auto Express, etc. BTW, how many times have the signs/logos on Longbridge’s gates and Visitor Centre changed over the years? Still nothing on the Beeb, not even on the ‘Global Car Industry’ pages on BBC News’ website! How hard can it be to publicise a car launch? 2000 1.8 petrol cars sounds a lot to me – now if it was diesel that would be different. Does anyone know how many 1.6 – 1.8 petrol-engined cars are sold in the UK each year and how that breaks down across the marques? Wouldn’t it have made sense to sort out the interior BEFORE launching the car? MG Motor clearly knew that the interior was a problem before this weeks’ launch yet they have made themselves look rather amateurish by launching just half of the car – the exterior. I wonder if we’ll get a second launch for the other half when the interior is done. BL may have been crap and the cars sometimes below standard but, at least, they used to launch a WHOLE car in one go! I really do think a diesel needs to be in the line-up from the start. Most buyers are looking for super economy including fleet buyers. I’m sure there will be one in the near future but, when VAG are boasting of 1000 miles to a tank of fuel in the new 1.6 TDi, MG needs to keep up with the game and get the model range right so that it matches the market’s demands. I really do hope they can make a success of the MG6 and that the car sells in the big numbers it needs to, so good luck to the new MG6!! Dear God, not another relaunch, preview, taster. Just start selling the bloody car! Not sure it was a ‘real’ car launch, after the MG 6 was first launched in 2008, and it hasn’t actually been launched in the conventional sense where hacks get to drive it.